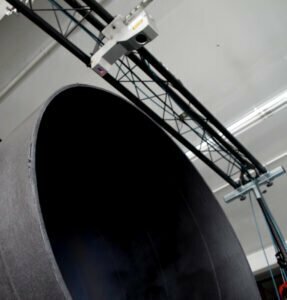 This non-contact, in-line system provides realtime dimensions of pipe and yields instant measurement feedback to track drift and stop scrap before it happens. 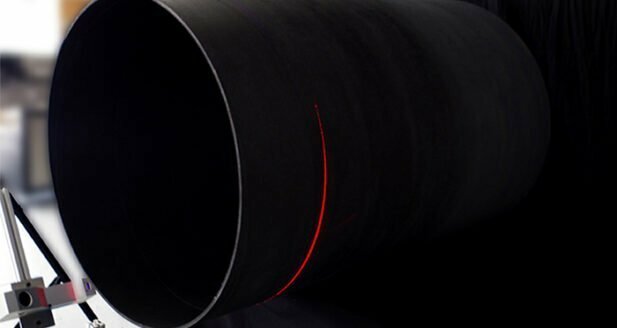 This turnkey system combines three high-dynamic range lasers with robust application software, which takes 360 degree measurements of pipe to ensure it is meeting quality standards and production specifications. Since offline checks can be time-consuming and costly, the system can step in and help eliminate inconsistencies in production, decrease scrap and reduce customer claims. Continuous monitoring results in consistent and repeatable results, allowing manufacturers to ensure their products meet specifications when they are delivered to the field. 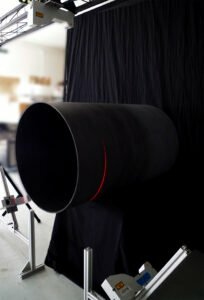 The system can be used to dimension various metal and plastic pipe that may distort or go out of specification during production. In-line, continuous dimensioning techniques can validate the process, correct errors immediately, fix tooling, produce production data and efficiently control the quality of the product. Custom alarms provide instant feedback so that operators can intervene and correct issues as they are occurring. Know what you are shipping out, revisit inspection images and data and provide customers with exactly what they are looking for. Contact us for no-pressure consultation.